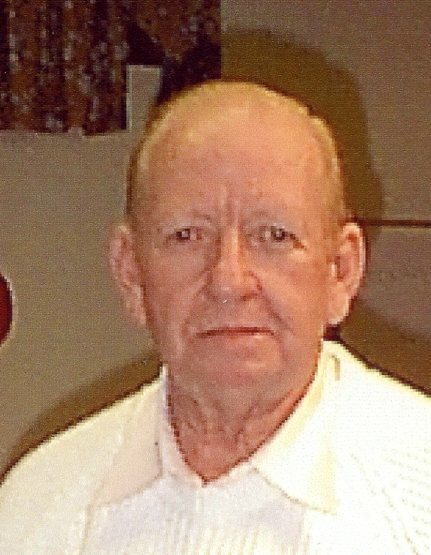 David J. Bolinger Jr., 88, of Terre Haute, Indiana passed away October 31, 2018 in his residence. He was born on August 18, 1930, of Fairbank, Indiana, to David Bolinger Sr. and Oli (Robinson) Bolinger. David served for two years in the United States Navy. He is a member of New Life Fellowship. David fell in love with poetry at a young age. He wrote poems for his loved ones and friends. David is the author of Poems From the Heart, a poetry book he published in 2013. He started the first driving school in Terre Haute, called Dave’s Driving School. David was jack of all trades. He was a United States Marshall and also a Vigo County Deputy Sheriff. David retired from the Federal Bureau of Prisons, as a lieutenant, after 25 years of employment. During his time working there, he worked as a driver, transporting prisoners, all over the United States. After David’s retirement, he worked as a Truant Officer locally. David was an avid painter. At one point, he painted an entire block of Catholic Churches in Oklahoma, he held a Pilot License, he also had several rental properties in Terre Haute. Most of all David loved his wife and his family. He enjoyed helping people however he could. Often making sure everyone had what they needed, and that no one was lonely. He was a wonderful man, that will be missed by all that knew him. David is survived by his wife of 15 years Peggy (Miller) Bolinger; children Diana Reed, David Ray Bolinger Becky), and Randy Bolinger; several grandchildren and great grandchildren; step children Keith Tetidrick, Rebecca Elkins, John Tetidrick, and David Tetidrick, many nieces, nephews, and extended family. He was preceded in death by his first wife, Nina Bolinger and daughter Mary Ann Bolinger. Funeral services are scheduled for Monday, November 5, 2018 at 12:00p.m. at New Life Felowship, 7849 Wabash Ave, Terre Haute, Indiana, 47803. Pastor Jeffrey Harpole will officiate. Burial will be in Bethesda Cemetery. Visitation will be at the church on Monday, from 10:00a.m. until service time. Greiner Funeral Home, 2005 North 13th Street Terre Haute,Indiana, 47804, has been entrusted with care and arrangements. Online condolences may be made at www.greinerfuneralhome.com .